Gifs are one of the newest trends to hit social media, and it is a craze I happen to adore. If a picture says a 1,000 words, a gif says 10,000. Actually, according to Giphy CEO and co-founder Alex Chung, a gif is worth 60,000 words; the same as your average novel. I don’t know if a gif contains the same content as a novel, but they sure are effective. Whichever social media platform you’re using, you no doubt have seen plenty of gifs. This is without a doubt true when it comes to Facebook. On New Year’s Day in 2017, there were more than 400 million gifs sent through the platform. Ready to join the fun of Facebook gifs? Here are your quick and easy instructions on how to share a gif on Facebook. If you are unsure of any of those steps, keep reading! In addition to looking at what a gif is, I’ll walk you through step-by-step picture instructions on how to post a gif to Facebook. Why do I love gifs so much? They say what words can’t. 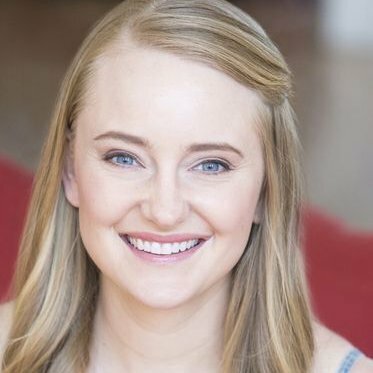 Whether you’re overjoyed or crazy frustrated, it can be hard to succinctly share your feelings within the world of social media. 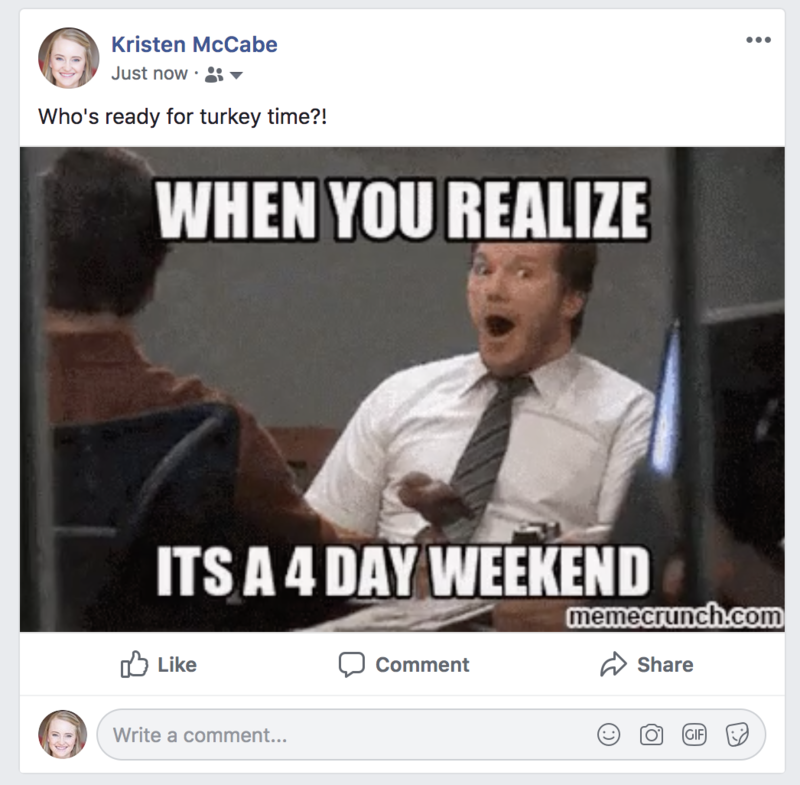 Whether you are using the platform for Facebook marketing or to connect with friends and family, gifs are great. Before I get too far into the joy of gifs, let’s back up for a moment and look at what a gif is. 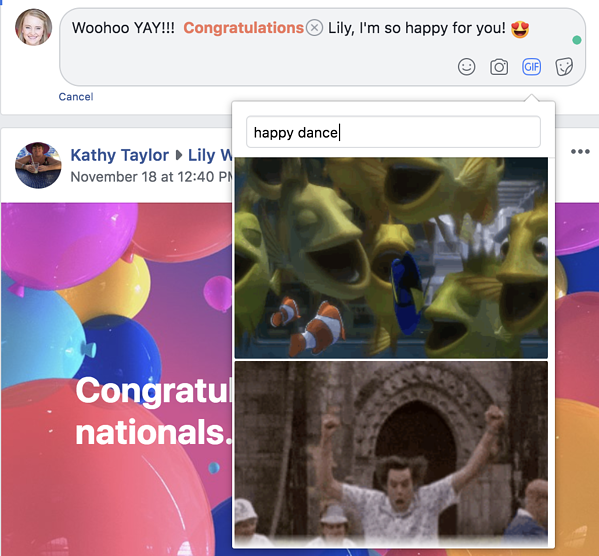 If you know what a Facebook gif is, and you’re ready for instructions to post them on your desktop, mobile, or Facebook Lite, jump ahead to the next section on how to share a gif on Facebook. That, my friend, is a gif. Some write gif in lowercase, others type the word as loud and proud capital GIF; this is also up for debate. Despite these uncertainties, there is one thing you can be certain of: What a gif is. A “GIF” is an acronym that stands for Graphics Interchange Format. Yes, that sounds technical. Ignore those big fancy words and focus on this definition: A gif is a type of image file (like a .jpeg or .png). A gif can be a static image or animated, and that is what makes them so wonderful. Who needs a still image when you can have an animated gif? 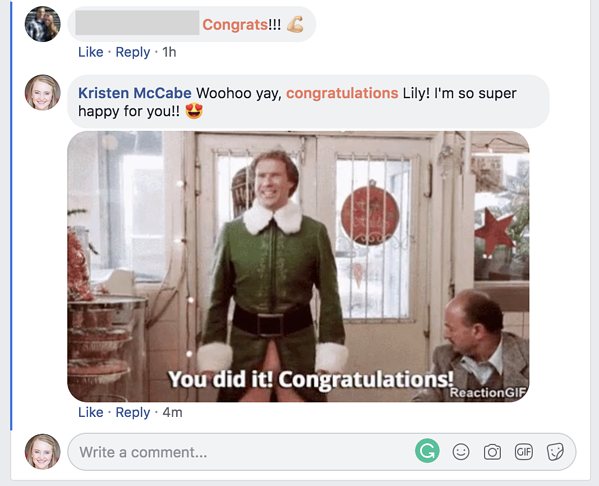 On Facebook, a gif is any one of those animated images (like the ones you’ve just seen) that are posted on the platform. The use of gifs on Facebook has evolved over the years. These days, if you want to share a gif on Facebook, the fastest way to do so is with the Facebook gif button. To celebrate the 30th anniversary of the gif, Facebook launched the gif button in June 2017. Before this date, if you wanted to share a gif on Facebook, you would have to find the url for your gif on another platform, then copy and paste it into Facebook. The Facebook gif button significantly cuts down this process. Now, you can use the gif button to search and share gifs from other sites, such as Giphy and Tenor, directly within comments and posts. When using this button to search for gifs, some people refer to it as the Facebook gif bar. Here, I’ll show you where to find and how to use that button to get your Facebook gif game going strong. Understanding gifs is great, but it doesn’t mean much if you don’t know where to find that Facebook gif button and how to use the gif bar! Here we’ll look at the first way to post a gif: creating a post using the Facebook gif button. Log on to Facebook. 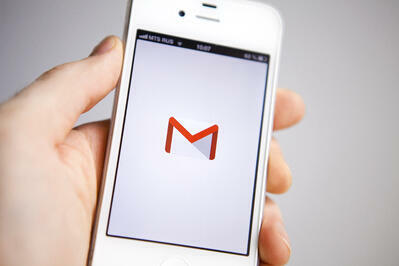 On your home screen, you’ll see an option for you to “Make Post” at the top of your screen. To share gifs on Facebook, you’ll need to find the Facebook gif button. Click the three dots for more post options. 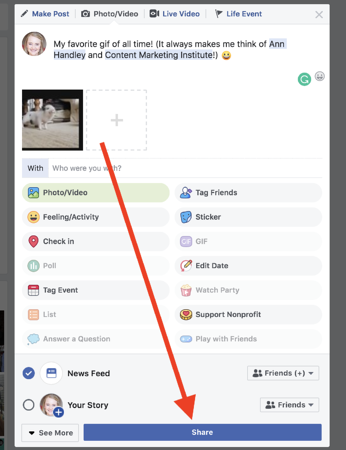 After clicking those three dots, a menu will pop up with a variety of options for your Facebook post. Note: The buttons shown above are not always displayed in this order. Sometimes my Facebook button will be at the top of the left column; other times I’ll see it at the bottom of the right. No matter the location, as long as it says “gif,” you’re good to go! Enter your search term to find the gif that reflects your mood, status, or whatever you would like to share. If you don’t immediately see a gif you love, keep scrolling; there is no shortage of gifs to choose from! Within the gif pop-up window, you’ll see on a bar on the right you can use to scroll through the potential gifs. Still don’t see anything that resonates with your exact mood? Try entering another search term; the possibilities are endless! Once you find the gif that makes you go, “YES, that is exactly how I feel!,” click on it. This will add it to your Facebook post. 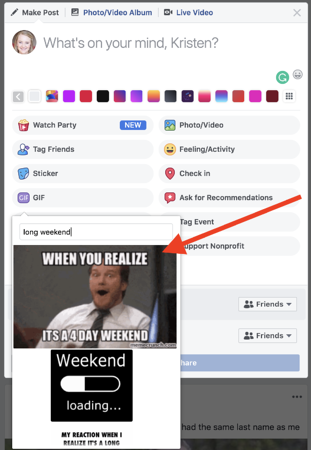 After you have clicked on your chosen gif, a preview of the Facebook post will appear. Within this preview, you’ll be able to check out your gif’s animation. 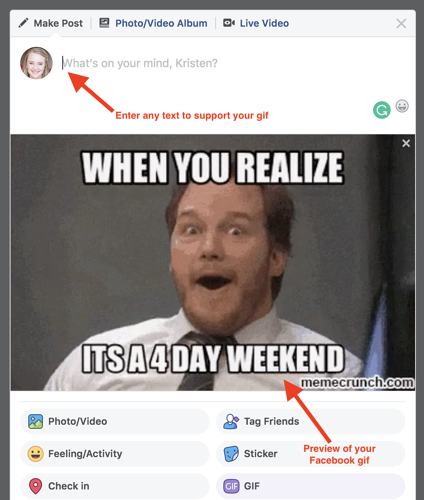 Should you choose, you can add text to your gif Facebook post. Don’t feel like adding text? You don’t have to! When you’re not feeling particularly clever, let gifs do the talking for you. This is especially effective in gifs such as this, which already have text. 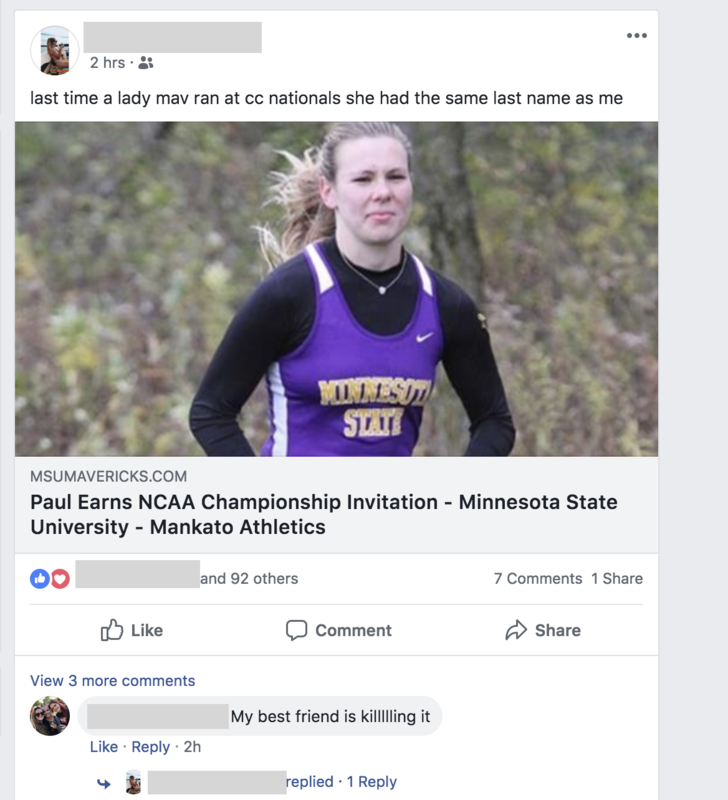 Create a Facebook post that contains nothing more than your gif, or go ahead and add your commentary. The choice is yours! Once you’ve entered any desired text, go ahead and click that blue Facebook share button. 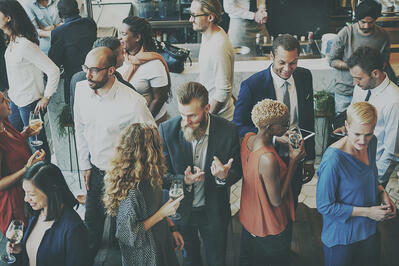 As soon as you click “Share,” your Facebook post will be live. Congratulations, you did it! You’ve shared your first gif post with the world of Facebook. See, what did I tell you? Posting a gif on Facebook really is that easy. 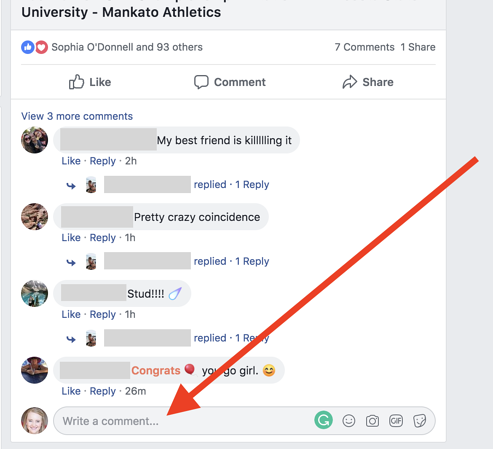 Instead of sharing a gif on your Facebook post, you may want to use a gif to comment on a friend’s post. This is the second way I’ll show you how to post Facebook gifs. To post a gif on a Facebook comment, you’ll follow steps similar to the ones we’ve just looked at. Find the post you would like to share a comment with a gif. You’ll notice a “comment” button immediately under the post. To type your comment, you’ll need to keep scrolling. Under all of the comments that have already been written, you’ll see the box “Write a comment…” This is where you can share your thoughts and your gif. 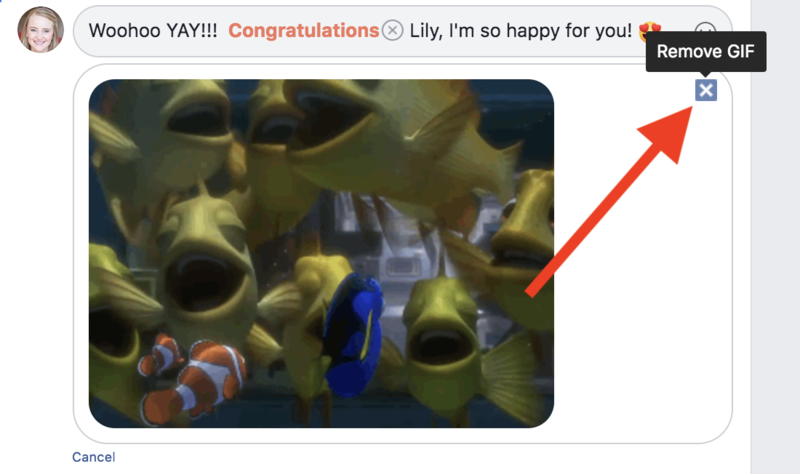 You can create a Facebook comment that is solely made up a gif; no text needed. If, however, you’d like to have text with your gif, begin by writing that copy. Within the comment box, you’ll see the button that says “GIF.” After you’ve written your text, click on this button. 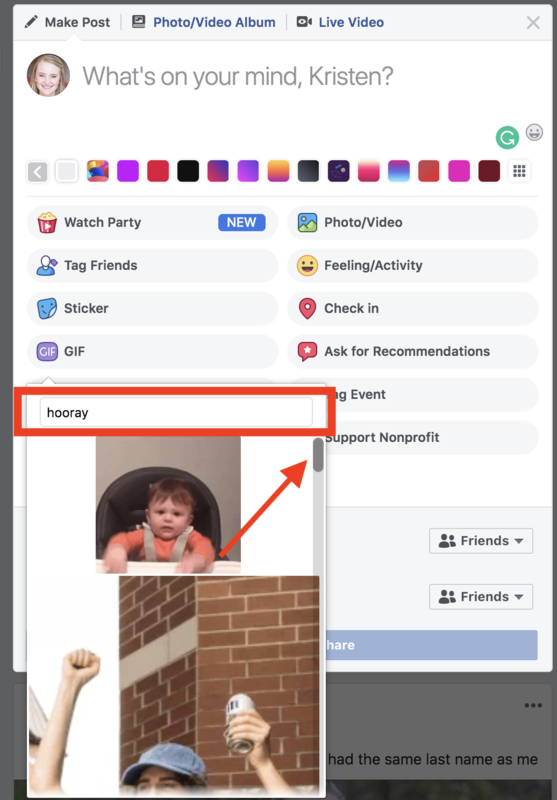 After you click the gif button, the Facebook gif search bar will appear. I could search for the word “congratulations,” but I can also search similar words and phrases like “congrats,” “well done,” “happy dance,” or “proud of you.” Be creative with your gif searches! Each keyword phrase you enter will bring up different results; if you want a gif that isn’t overused, try entering search terms that are more unique. Once you’ve found the right one, click on the gif to add it to your Facebook comment. A preview will appear. If you change your mind and don’t like the gif you selected, click on the “x” in the corner of the gif. Doing this will delete your gif as well as the comment you had written; you’ll have to start again with your text. Once you’ve clicked on your chosen gif, put your cursor in the comment box. Then, hit the enter (or “return”) key on your keyboard. After you hit enter, your gif and comment will be posted. You’ll immediately see it at the bottom of all existing comments. Imagine that you already have a gif you love, and you want to post it on Facebook. Or, perhaps the Facebook gif button isn’t bringing up the exact results you hoped for, and you’d like to scan through more options. One of my all-time favorite gifs is this happy little piglet. Go to a gif website of your choice; in this tutorial, I am using Giphy. Enter your desired search term (I entered “twerking pig”) and find the gif you would like to use on Facebook. After you have found your desired gif, click on it. On the next page that appears, copy the gif’s URL. On this website, there is a designated “copy link” button to use. Once you have copied the URL, go back to your Facebook page. Within the box to “Make Post,” enter the link to the gif. Once you’ve entered your text, click the Facebook “Share” button at the bottom of the comment box. And, with those simple steps, you’ve successfully uploaded your gif to Facebook. Gifs are a fun way to share your emotions and more. Whatever you want to share on Facebook, gifs provide an animated way to do so. Once you’ve discovered the world of gifs, you won’t want to create a Facebook post or comment without them! For more ways to maximize your Facebook presence, learn how to delete Facebook messages, create a poll on Facebook, add music to Facebook stories, or change your Facebook URL and username.